Everyone expects to see red eyes in overexposed cellphone pictures, but when an Illinois mom saw her toddler’s white pupil she knew something was wrong. Julie Fitzgerald’s smartphone photo with flash exposed her toddler’s eye cancer. Doctors diagnosed Avery Fitzgerald with retinoblastoma after discovering his eye was filled with tumors. Retinoblastoma is a rare cancer in the retina. The white color in the pupil seen when light is shined in the eye is a symptom of the disease, said Michael W. Stewart, ophthalmology professor and chair at Mayo Clinic in Jacksonville, Fla. Parents may use a camera flash to see if their child’s pupils are white, however this is not a prefect indicator of retinoblastoma, according to Stewart. Jody Myers Eye Equipment specializes in selling the technology that helps diagnose retinoblastoma, such as the Topcon 50DX Mydriatic Retinal Camera. 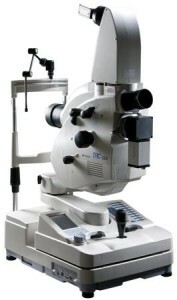 The TRC-50DX is equipped with the latest digital-ready features to produce the most complete retinal image captures. A 4,203-person study published in the Journal of the American Medical Association tested how lutein and zeaxanthin could benefit eye cells. 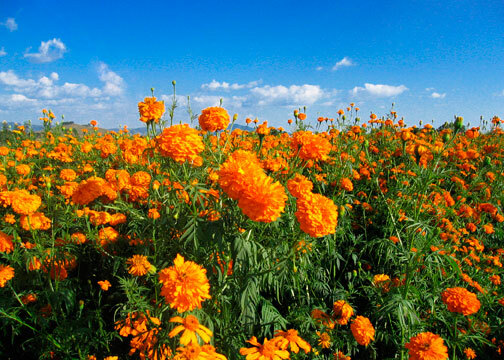 The study found that lutein could reduce chronic eye disease, in particular macular degeneration, if taken along with zinc, copper and vitamins C and E.
Naturally found in marigolds, lutein and zeaxanthin can also be found in spinach, kale and egg yolks. The nutrients, which are yellow-orange in color, protect sensitive eye cells from light by remaining in the retina’s center, according to Emily Y Chew, deputy clinical director at the federal National Eye Institute. Dr. Chew, co-author of the study, also said lutein and zeaxanthin function as antioxidants by protecting eye cells from oxidation, a chemical reaction. The supplement market is conducting its own research as well. A 2014 study co-funded by DSM and Kemin and published in Investigative Ophthalmology & Visual Science found lutein and zeaxanthin supplements could even help people with healthy vision. The study found people taking these supplements recovered faster after being exposed to blinding light in comparison to those that only took a placebo. This same study, conducted by University of Georgia, Athens neuroscientist Billy R. Hammond, showed people taking the supplements had better reaction time when processing images. How many of us have been just too tired from a long day and forgotten to disinfect or even take off our contact lenses? According to a new survey conducted by the Centers for Disease Control and Prevention, 50 percent of people who wear contacts wear them while sleeping. An even higher number, 82.3 percent, keep their cases longer than the recommended time. These bad hygiene choices while wearing contact lenses could be dangerous. Ninety-nine percent of the people surveyed were at risk for serious eye infections because of common bad hygiene choices like these. While some may think it is not a big deal to become forgetful from time to time, researchers suggest otherwise. Thomas Steinemann, clinical spokesman for the American Academy of Ophthalmology, states infections can occur within 24 hours of wearing unclean lenses. “The lens case can get dirty, and germs from the case get onto the lens or vice versa, and eventually they get onto your eye and attack your cornea,” he said. Sleeping while wearing your contacts could also be dangerous. Steinemann advises against even a nap while wearing contacts. Although contacts are porous and oxygen is able to reach the cornea, the contacts act as barriers. As a person sleeps, his or her eyelid acts as a second barrier and deprives the eye of oxygen, Steinemann said. The oxygen deprivation can lead to more germs attacking the cornea.